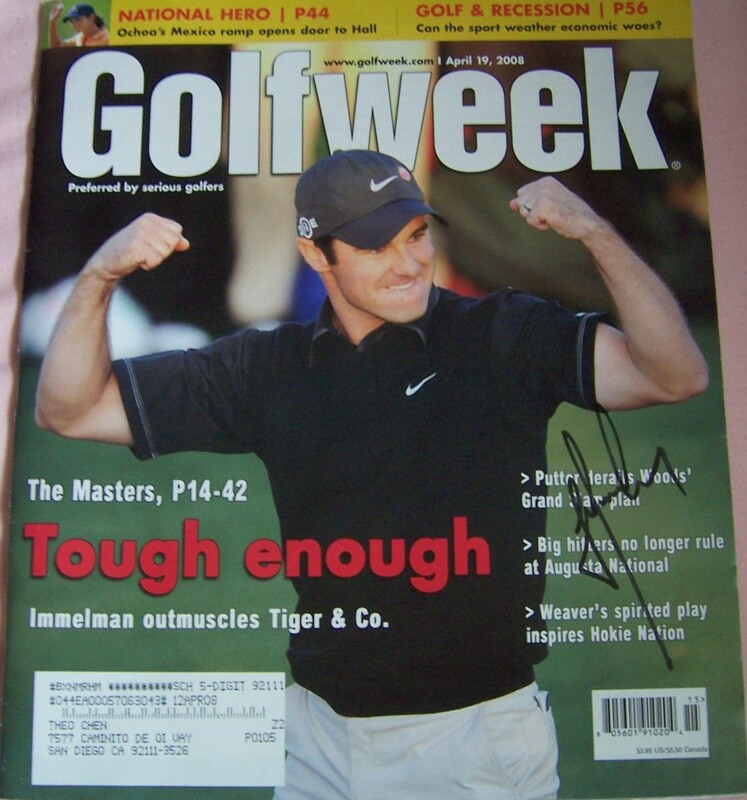 Complete 2008 Golfweek magazine commemorating Trevor Immelman winning the 2008 Masters, autographed by Trevor in a perfect spot. With certificate of authenticity from AutographsForSale.com. ONLY ONE AVAILABLE FOR SALE.